Un-woke, unaware, self-involved, narcissistic, nihilistic — no, no, not Devdas. We're talking about Anurag Kashyap. Ten years ago, we saw cinematic history being made when DevD released. The Abhay Deol, Kalki Koechlin and Mahie Gill-starrer took us all by storm — and a generous share of that credit goes to Anurag Kashyap. Now Devdas (the raging alcoholic, who some might see as the epitome of a kind of self-destructing love, I see him as an alcoholic, that’s it) is a character cinephiles in India are well acquainted with. If we had a penny for all the times Saratchandra Chattopadhyay’s novel — arguably, his weakest — Devdas was adapted on celluloid, or interpreted and reinterpreted in varying degrees, we’d have to declare our assets to the Lokayukta. Naturally then, when we saw a Devdas, equally self-involved and obnoxious as we knew him to be getting his due dissing, we were pleasantly surprised. After all, it was 2009, and high time someone called that man out on his narcissistic nihilism. ‘Woke’ was the word slowly making it to our collective vocabulary, and we were becoming more self-aware, more socially conscious, more understanding and more accepting of others. And with films like DevD and Shaitaan — noir, psychedelic, utterly aware — Kashyap took us several steps closer to that consciousness. If only he and his kin would follow the path he showed us. 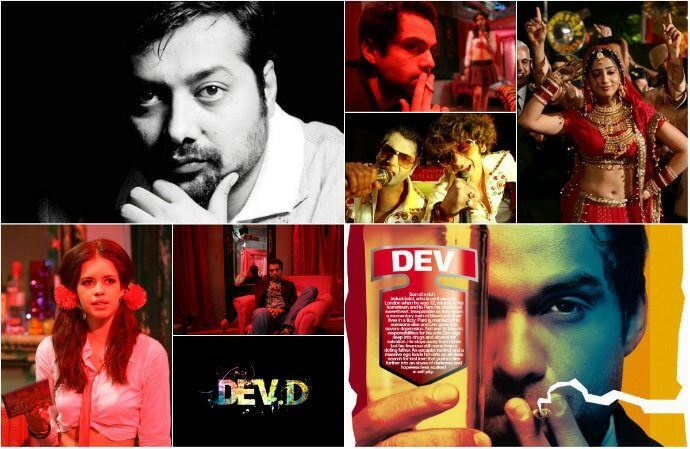 You see, it was DevD and its success that cemented Kashyap’s spot in Bollywood. He broke the wall that separated art filmmakers and commercial filmmakers — right, there is no such thing as ‘art’ and ‘commercial’ cinema. Oh, but there is. And we know that because he went on to make Bombay Velvet, the most arty commercial film the Hindi film industry has ever seen in its over 100 years of existence. It was also apparently the biggest loss Bollywood had ever incurred. Yet, to think of how un-woke, unaware and well, apparently self-involved a narcissistic nihilist Kashyap has been in real life pains me. So involved did he seem to get in the legend of being Anurag Kashyap that he apparently didn't even notice the alleged instances of sexual molestation and preying that were happening right around him. It is, therefore, interesting to note that, in a way, Anurag Kashyap is DevD — and in a post #MeToo India, he is getting his due dissing too. In fact, not just him, perhaps the same allegory applies to the likes of Rajkumar Hirani as well, who, all this while, stood for something that’s both inspirational and aspirational — like Devdas stood for love — but it is only now, thanks to a totally new perspective, turned upside down on its axis, that we can see through the tinted glass. Also read: Dear Shah Rukh Khan, Bollywood romance needs reinventing. And we need you to take the lead!